(March 23): Most Asian currencies fell against the dollar on Thursday, as investors waited to see if U.S. President Donald Trump could push through a health bill to replace "Obamacare", which would open the way for tax cuts. Trump was to meet later in the day with members of the Freedom Caucus, a conservative Republican faction which have demand changes to the bill, which is Trump's first major legislation since taking office. Fierce opposition could delay promised tax reforms, which have boosted U.S. financial markets. "It is the risk sentiment which is driving the markets right now" said Andy Ji, a currency strategist at Commonwealth Bank of Australia. The Thai baht fell nearly a quarter of a percent on strong dollar demand from oil companies. 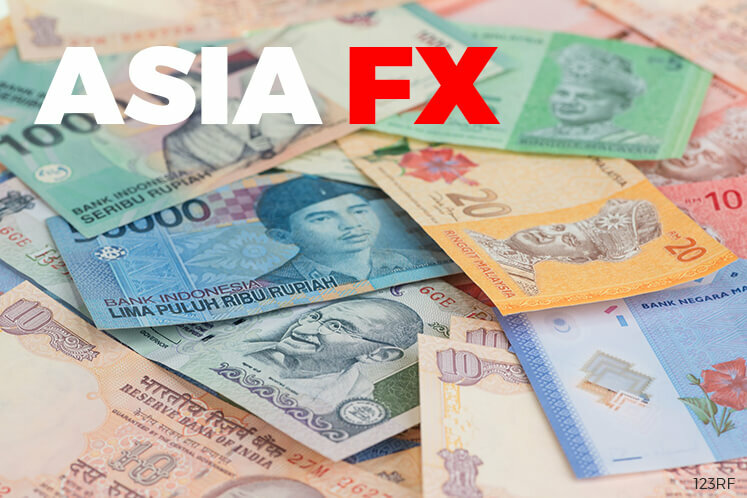 The Singapore dollar also weakened after data showed a pick-up in inflation was mild and in line with expectations. Analysts said a rise in the 10-year U.S. Treasury yields also limited Asian currencies' upside. The 10-year U.S. Treasury yield stood at 2.4086%, slightly up from Wednesday's U.S. close of 2.3960. The South Korean dollar continued its surge to lead Asian currencies' gains against the dollar this year. However, markets were also keeping a close eye at the JPY/KRW pair, which was hovering near a 15-month low, underlining the won's strength against the yen. With worries about Trump's healthcare bill are expected to remain the focus of markets in coming days, some analysts said the Federal Reserve's monetary stance will still decide Asiancurrencies' movements in the long term. "Don’t let this wave of risk-off muddy the big picture," said Stephen Innes, senior trader at OANDA. The Taiwan dollar was flat at 30.490 per dollar. Taiwan's central bank is expected to keep its key policy rate unchanged on Thursday, after the government announced a T$882.4 billion (US$29 billion) stimulus package to support the economy in the face of uncertainty from its two largest trading partners, the United States and China.